Could you look after a dog for the weekend? Please note: Our fostering lists for both our Southern and Midlands centres are open. This includes weekend fostering (17 consecutive weekends), as well as occasional fostering and overnight B&B fostering. We are particularly keen to hear from those who can offer through the week together with weekend foster care. When our amazing dogs begin their advanced training, they need a loving weekend foster home – can you help? This rewarding role plays an important part in contributing to a partnership. You’ll need to live close to one of our centres in West Sussex or Leicestershire so that you can pick up your dog on a Friday afternoon (between 4pm and 5pm), and bring it back on the Monday morning (between 8.30am and 9am). Our dogs are about 14 months old when they begin advanced training. They have just left their puppy parents and are learning lots of new things so it’s important their weekends are all about relaxing! Ideally, this short-term foster parent role needs a commitment of 17 consecutive weekends. It is a big ask, but it makes a huge difference to our budding assistance dogs; a comfortable, loving and stable home environment is just what they need in order to rest and relax. You will also be keeping their social behaviour up to scratch by following our guidelines. If you cannot make the 17-week commitment, could you offer occasional weekend or short-term fostering, or the odd weekday evening? We sometimes need cover for holidays, or occasionally, to provide a home environment for a dog to recuperate following veterinary treatment. You will have a really lovely dog for the weekend! Credit: FourFour Films Ltd – www.fourfourfilms.co.uk, Louise Wilson – www.female-voiceover.co.uk and Liam Jones as the voice of Polo. Please note: Our long-term fostering lists for both centres are currently open. Please enquire using the form below for more information. We also need people who can look after our dogs on a more long-term basis. This can be due to a variety of reasons and the time spent with you can also vary. Our family loves having a Canine Partners dog to stay for the weekend. We like to feel that we are helping in a small but valuable way, with the process of seeing these special dogs through their training, thus enabling them to enrich the lives of their new partner. Seeing the dog we fostered with their partner at their graduation ceremony is a truly wonderful experience. Since 2007 we have fostered more than 75 dogs mostly at weekends while they are in advanced training prior to being partnered. 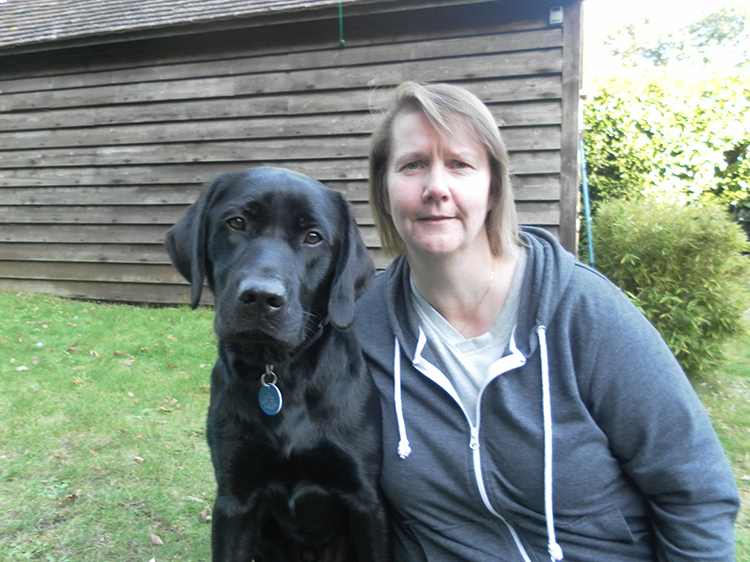 Others have been with us for up to six months as and when required by the aftercare team. We have had all shapes, colours and sizes and have loved them all. 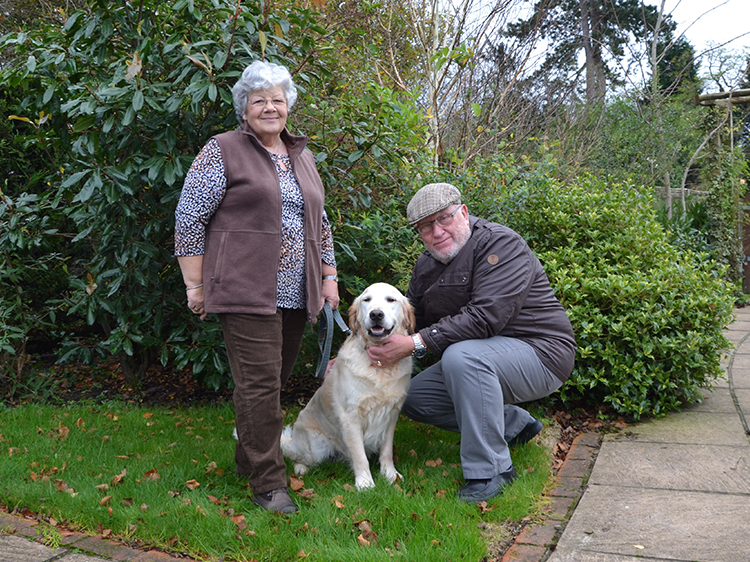 We have always been dog owners but find, since our retirement from full time employment, that fostering for Canine Partners suits our lifestyle and we hope to continue working with the Charity to help place these wonderful dogs. We are also currently looking for homes around the country that would be available to help with fostering dogs requiring rehabilitation, allowing them to rest and recuperate. This may mean that the dog will either need structured exercise, or will be entirely housebound. The dogs will usually be recovering from an injury or an operation, and the duration of the foster could be anywhere between 2-12 weeks or more depending on the type of recovery required. It will potentially be required to attend physiotherapy and hydrotherapy sessions as well as continuing set exercises at home. You will be guided by the treating vet, physiotherapist and support from Canine Partners in any exercises you need to be doing at home and the frequency of vet visits required. All food, flea and worm treatment and equipment required for the dog during their stay will be provided by Canine Partners. If you have any further questions regarding what would be involved please fill out the enquiry form below. Register your interest or ask us a question using the form below.